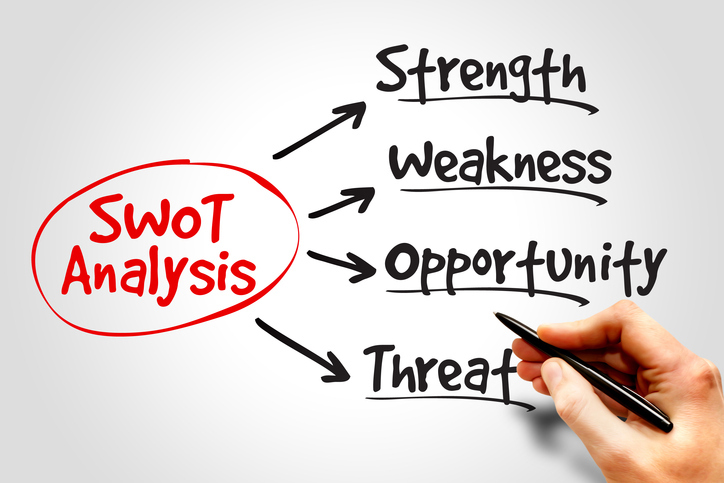 Every business owner should conduct a regular SWOT analysis to assess the company’s strengths, weaknesses, opportunities and threats in relation to its competition. Download this checklist to start on your SWOT analysis. Company strengths and weaknesses in marketing, assets, human resources and financial resources.